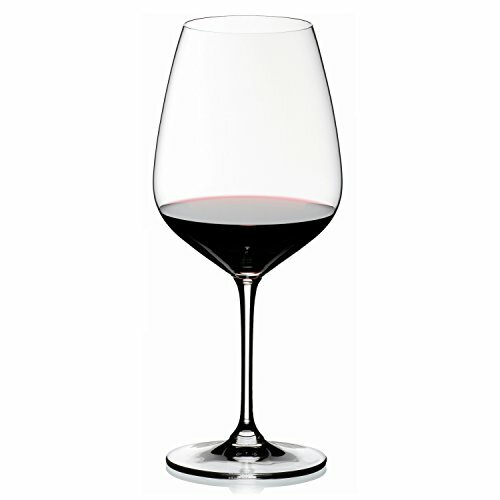 Sip in style with this Riedel Vinum Extreme wine glass set. Vinum Extreme is Riedel's machine-blown "Gourmet Glass Concept" that translates a wine's message in a perfect way. Though Vinum Extreme glasses are machine-made to be affordable, the glasses nonetheless consist of 24 percent lead crystal for distinctive clarity and brilliance. The Extreme line, most known for their larger, more dramatic diamond shaped bowls, provide an even larger surface area, exposing the wine to more oxygen and allowing it to fully breathe, resulting in heightened performance, and a further enhanced drinking experience for those using them. With its specially designed shape to enhance the flavor, this beautiful Cabernet/Merlot glass set is the perfect way to enjoy Cabernet, Merlot, and red wines.